Art is a general topic and it involves a lot of scope. But one thing is for sure, the world without art is boring at all. Art is with us all the time, whether we walk, talk and whatever we do. In this article, let me talk more about art, in particular the best iPad apps for artists! You already heard about the best apps for lawyers and teachers, and it is now the time to talk about something about art and artists or designers. 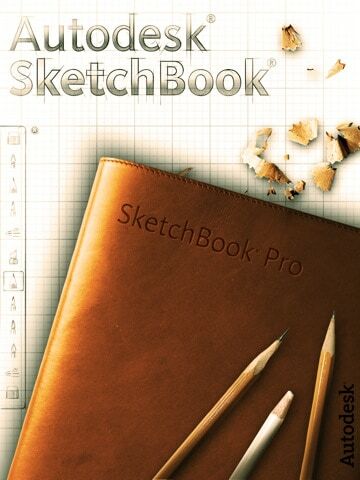 The number one iPad app for artist I will discuss is Sketchbook Pro from Autodesk Inc. As its name would suggest, you already know that it is really for artist. The app has a very intuitive and multitouch interface that will surely entice the eyes of every artist. 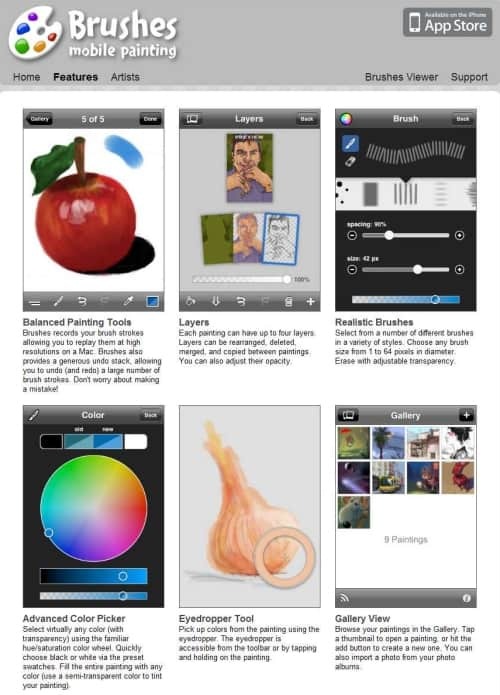 The app provides a wide array of tools in visual art like brush and pencil. Artists will be able to turn their iPad into a digital sketchbook that even supports zoom in and zoom out features. The canvas size is 1024 by 768 and various layers can also be added. For iPad 2, users will be able to accommodate 12 layers. However, users of iPad 1 can only use six layers when working with the SketchBook Pro app. These layers can be duplicated or merged with one another to create a nice piece of art. There are also many presets installed in the app including pencils, natural media, pens, brushes, and markers. They can use the fill tool and smear tools just like the desktop version of the app. Aside from those, SketchBook Pro also supports importing of files from Photo Library and from the camera. That’s not all! WIth SketchBook Pro, you will be able to share your art projects by connecting it to an external video device. SketchBook Pro for iPad is very affordable. You can get it for 2.99 dollars ($2.99) at the iTunes store! Get it and fulfill your dreams as an artist! One of the most important tools an artist should have is the brush. For those artist who are using the iPad in creating their masterpieces, the iPad app Brushes will be a great tool for them. Brushes by Steve Sprang is the close counterpart of SketchBook Pro. Brushes is not as huge as SketchBook Pro as it only focuses on painting. Although, Brushes also support multilevel of layering as SketchBook would do. It doesn’t have any tools like pencils, markers, and natural media. The best thing about Brushes is that it allows users to view their creations through slideshows. Users of this app will also be able to download other works from the internet because of its web server capability. Moreover, it also has its color picker or eyedropper tool, which is quite useful whenever one is painting digitally. It supports better zooming and redo/undo capabilities than SketchBook Pro. Get Brushes for only 4.99 dollars ($4.99) at the iTunes store. Icreated is the last but the not the least iPad app for artists in this post. The app is created by Big Stone Phone. Icreat is a very good application that will inspire artists in creating their masterpieces. It is not like Brushes or SketchBook Pro wherein different painting and drawing tools are introduced. Imagine iCreate as a digital album wherein you can see different masterpieces of different artists. It is like creating a handheld museum to workout your imagination. The works of the artists featured in iCreated are from different countries. If you are well versed and you are prod of your digital art works, either created through SkethBook Pro or Brushes, you can add it here. Icreated is a very good tool to promote your art work worldwide. Who never knows, digital art will make an even louder noise in the future. 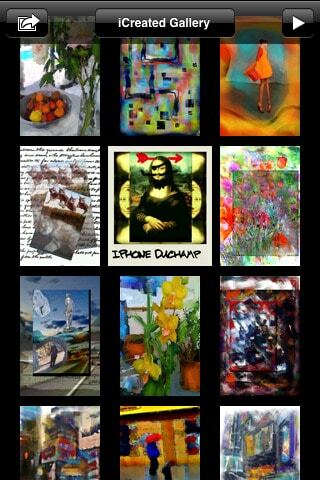 Start marketing your art works and download iCreated for free at the iTunes store. If in case you have another Best iPad Apps for Artists to share, you can always leave your comments below. Thank you for your time in reading this post. See you later.